After yesterday’s post, several readers asked where the fourth brother was. The answer is that the camera wasn’t focused on the hidden napping spot. The other angle shows the hidden napping spot. 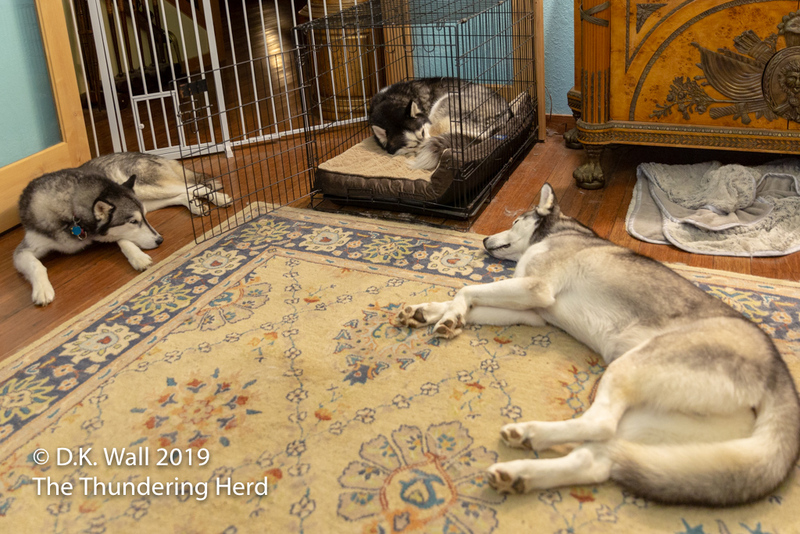 Hu-Dad’s study has a single crate in it, a place for various training purposes. But it is also the most coveted spot in the study and everyone takes a turn claiming it. Landon has it above. In the best spot ever. 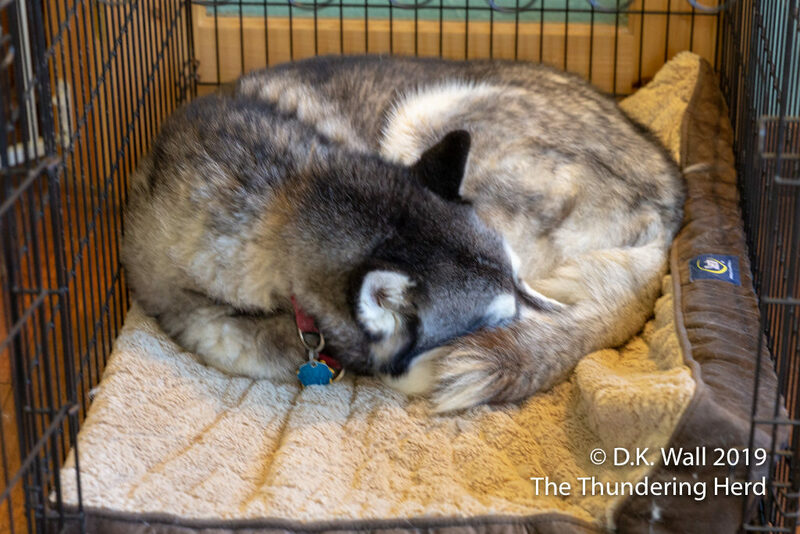 Love the famous husky curl as Typhoon shows it and then Roscoe has HIS turn in that nice comfy bed in the crate! Love these pictures again today! Nice soft bed to sleep on, can’t ask for anything more while Hu-Dad works. I was guessing he was under your desk. Didn’t know about the coveted crate. Is it the squishy bed they want? 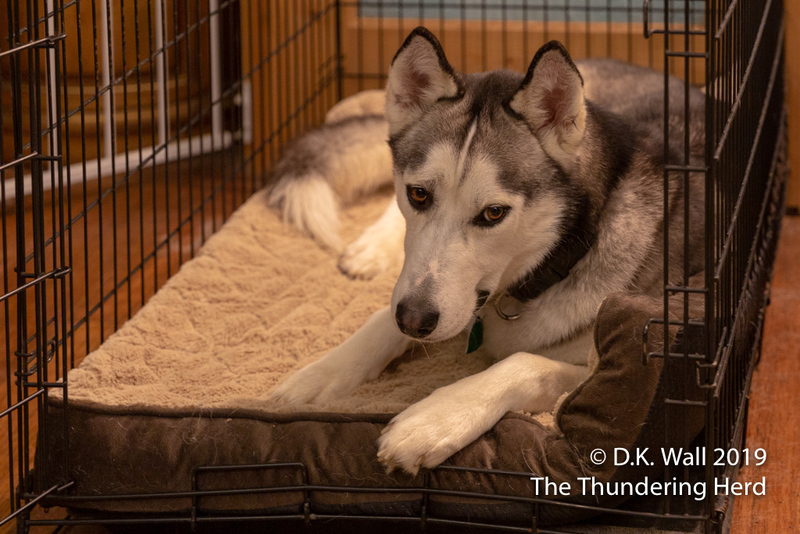 Crates are popular even when no bed is in them. Just the comforting nature of them is appealing. There you are Roscoe!!! You got the prime sleeping spot! Roscoe is snug as a bug.